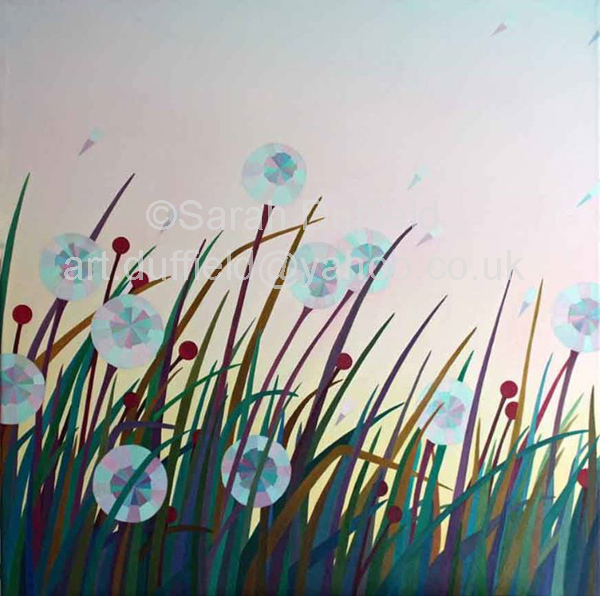 A lovely painting of dandelion heads in the morning light. As a child we always used to make wishes if we caught a seed floating on the breeze, hence the name. This 50 x 50 cm original painting has now sold. 37 x 37 cm including border.